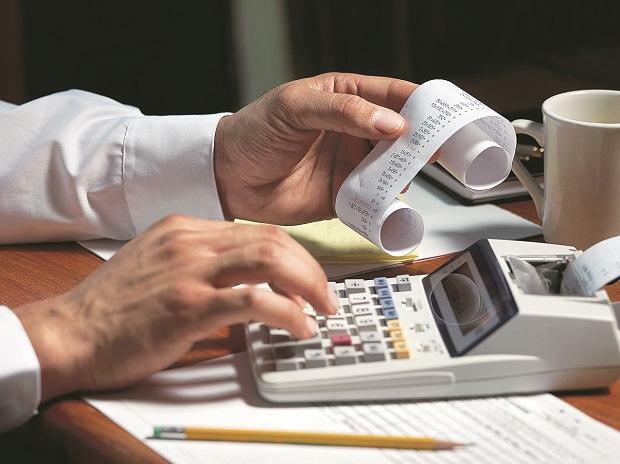 Financial year 2019 is drawing to a close and taxpayers need to start exploring tax-saving investment options allowed under Sec 80C of the Income-Tax Act. However, with various payments and mandatory outflows also qualifying under Section 80C, the first step towards making investments under this Section is to figure out the required investment amount. Taxpayers can claim up to Rs 1.50 lakh as deductions under Section 80C. Apart from various investment options eligible for availing Section 80C deduction, certain pay-outs and mandatory expenses are also covered under the same deduction. These include your child’s tuition fees, repayment of your home loan principal, your contribution to EPF or recognized provident fund, term insurance premiums and stamp duties and registration charges incurred on acquiring a home loan property. Your required investment amount would be the amount left after deducting the mandatory pay-outs from the Rs 1.50 lakh limit. For example, assume that your gross annual income is Rs 7 lakh and your qualifying mandatory pay-outs include Rs 80,000 as home loan principal repayment, Rs 20,000 towards EPF contribution and Rs 10,000 as a term insurance premium. You will need to invest Rs 40,000 in the investment options eligible for Section 80C deduction. Investing beyond this amount would not make sense, as all Section 80C investment options come with lock-in period and other restraints. Once you know the amount required for availing maximum deductions under Section 80C, it’s time to select the investment option(s) based on their liquidity and taxability of returns and your own risk appetite and return expectations. Unit Linked Insurance Plans (ULIPs): ULIPs offer the combined benefits of insurance and investment. While a small part of your premium is used for providing your life cover, the remaining part is used for generating returns through investments in equities and/or debt instruments. ULIPs also have a longer lock-in period of 5 years and provide switching facility to switch between equity, debt or balanced options depending on your changing risk appetite, financial goals and market outlook. National Pension Scheme (NPS): This is a market-linked investment product aimed at providing post-retirement financial security to its subscribers. An annual deduction of up to Rs 1.5 lakh is available under Section 80C whereas an additional deduction of Rs 50,000 is available under Section 80CCD(1B). The investments remain locked-in till the attainment of 60 years by the subscriber and at least 40% of the corpus has to be used for purchasing the post-retirement annuity. While the amount withdrawn as a lump sum after the maturity is tax-free, the income derived from the annuity will be taxable as per the subscriber’s tax-slab. The subscribers can also choose between auto choice and active choice for the purpose of asset allocation. In case of active choice, the subscribers can decide their own asset mix by mentioning the ratio of their investments across corporate, gilt and equity funds. However, the maximum exposure to equity fund has been capped at 75%. On choosing the auto choice, the subscribers’ contribution will be spread across the corporate, gilt and equity funds based on the lifecycle matrix on the basis of the subscribers’ age. Equity-Linked Savings Schemes (ELSS): These are primarily diversified equity mutual funds with a lock-in period of three years from the date of investment. The 3-year lock-in period is the shortest among all investment options available under Section 80C. The funds can be easily redeemed after the completion of the lock-in period with the credit of redemption amount to the linked bank account within 2–3 working days. Being equity funds, ELSS come with the same market risk as other equity funds. However, as equities usually outperform other asset classes by a wide margin over the long-term, ELSS too has outperformed various fixed income investment options under Section 80C. ELSS as a category has generated an annualised return of about 10%, 16% and 16.3% p.a. over the last 3-year, 5-year and 10-year periods. As with other mutual funds, you can also opt for the systematic investment plan (SIP) mode of investments to ensure disciplined investing at regular intervals. The minimum investment amount can be as low as Rs 500. While ELSS too come under the ambit of 10% LTCG tax on equities, most retail investors are likely to end with tax-free maturity as only long term capital gains from equities exceeding Rs 1 lakh in a financial year is taxable. Public provident fund (PPF): PPF is one of the safest among all Section 80C investment options. It is managed by the Government of India and both the principal and interest components are backed by the sovereign guarantee. The scheme is paying an interest rate of 8% p.a. compounded annually, which is reviewed by the Ministry of Finance every quarter based on the government bond yields. As the interest earned and maturity amount is completely tax-free, it offers one of the highest post-tax returns among all fixed income investment options. However, its long lock-in period of 15 years is its biggest drawback. Partial withdrawals are allowed only from the 7th year of subscription once in a year whereas premature closure is permitted after 5 years for treating life-threatening diseases or pursuing higher education. Tax-saving FDs: While tax-saving FDs from the post office and banks score high in terms of capital protection and certainty of returns, their biggest disadvantage is the taxability of the interest income as per the tax slab of the depositor. While these tax-saving FDs come with a lock-in period of 5 years, the interest income can be paid out every quarter or every month or in lump sum at the time of maturity.